Members of the Metro Council—which oversees the parish attorney’s office—have little to say about the assistant parish attorney who, despite a 2016 sexual harassment complaint, continues to serve as a key staff member in the office after being asked remain beyond his scheduled Jan. 31 resignation date, as reported by Daily Report Friday. 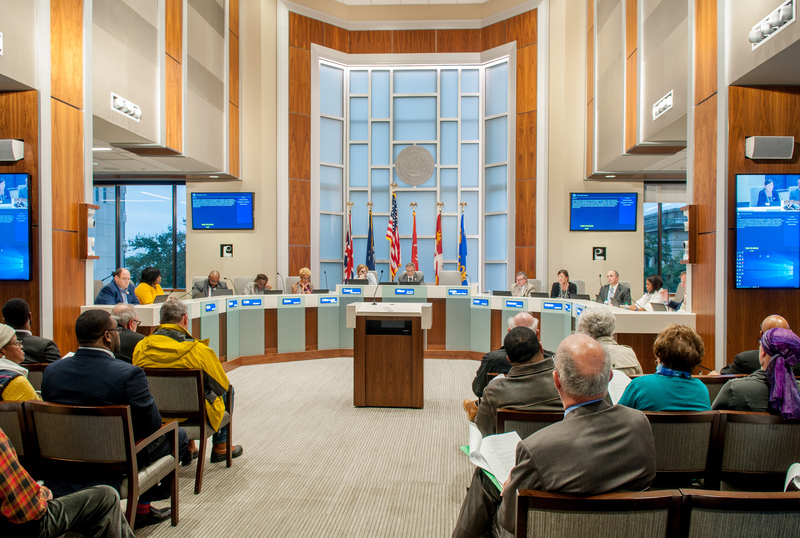 Several council members claim they have not seen Tedrick Knightshead’s disciplinary files, which includes the 2016 harassment complaint, as well as a month-long suspension in 2012, without pay, for unclear disciplinary reasons. They also maintain it’s the responsibility of the parish attorney—then Lea Anne Batson and now interim head Andy Dotson—to handle such disciplinary matters. Councilwomen Tara Wicker, Barbara Freiberg and Chauna Banks all say they don’t know much about Knightshead’s personnel issues. Councilwoman Donna Collins-Lewis declined to comment on the matter. Councilman Chandler Loupe, instrumental in the removal of former Parish Attorney Mary Roper in 2015 and is in regular contact with members of the parish attorney’s staff, did not respond to calls or a text message requesting comment. Councilman LaMont Cole, who led the charge to oust Batson, declined comment. Councilwoman Erika Green, who sought to appoint Dotson as interim, also did not respond to requests for comment. Councilman Matt Watson says the council does have authority to hire or fire the parish attorney, but personnel decisions, like allowing Knightshead to stay on, is up to the parish attorney—without council input. Council members Scott Wilson and Trae Welch say they heard about Knightshead’s disciplinary issues but had not seen the files. Welch tried to request them from the human resources department but says the department did not have the files. Welch says he will talk to Dotson about the issue, but he notes that the 2016 harassment complaint against Knightshead happened under Batson’s watch. Batson stepped down Jan. 22 in the midst of an effort by council members to remove her. Dotson was hired the next day as interim parish attorney. Knightshead was Batson’s first assistant, who she wanted to keep on her staff, even though he disagreed with new office policies she implemented in 2016, particularly one requiring the elimination of conflicts of interest in private practice—which Knightshead violated. Citing opposition to the policies, Knightshead tendered his resignation in December, with an effective date of Jan. 31. Meanwhile, it was at this time that Cole began an effort to remove Batson as parish attorney. But she resigned rather than face a termination hearing. On Knightshead’s last day on the job, the parish attorney’s office filed paperwork indicating Knightshead was being “demoted” to a “Sr. Spec” Assistant Parish Attorney, according to city-parish personnel records. It is unclear why or how long he will remain in his new role. Council members Dwight Hudson and Denise Amoroso also did not respond to requests for comment by press time. Wilson, the mayor pro tem, repeated his frustration from Friday that the council has one set of rules for one person but not another—meaning some members wanted to oust Batson for workplace issues, but not Knightshead.